Make the post of your time in port and explore Hamburg by bus at your own pace on this hop-on hop-off Hamburg shore excursion. Jump aboard your double-decker bus at the port and spin through the bustling city streets. 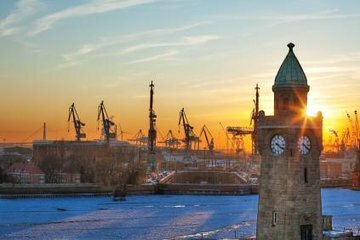 Discover top Hamburg attractions such as the Maritime Museum, Town Hall Square, St Michael’s Church, St Pauli Fish Market and the famous Reeperbahn district. Gain insight into the city’s heritage via the on-board audio commentary. Customize your route to suit your preferences, hopping on and off your bus at your leisure. The most convenient way to see the city while you're in port!